Gift Card Fees Waived This Holiday Season! 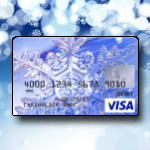 Home / Uncategorized / Gift Card Fees Waived This Holiday Season! Starting November 1st, take advantage of waived fees when purchasing a YNB VISA Gift Card! The normal fee is $5 per gift card. As our gift to you this holiday season this fee will be waived. Both existing YNB customers and non-customers can take advantage of this fantastic offer! In order for everyone to be able to enjoy this holiday gift some restrictions may apply. Be sure to visit any of our 5 locations to take advantage of this offer before December 31st when this offer ends! YNB wishes you a wonderful holiday season!